The Days of Johann, an agility dog! : Look-a-likes from all over the World! Look-a-likes from all over the World! Mum and I love going through my mail everyday. We get some of the most interesting emails. Lots of folks wanting us to try out a product or two, lots of folks just wanting to say hi, lot of folks who send us pups looking for homes for our Rescue Me blog. 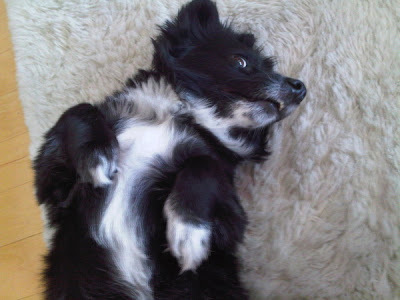 Every now and then I'll get an email of a pup that saw my pic on the Internet and about fell off their chair! Why? Because they thought I look just like 'em. We really like these emails because for the past few years, my brother from the shelter is always on my mind. Some day we hope one of those emails will answer our big, big question; where is he? This is Cable Girl. Her Mom sent us her picture in February of 2008. They found her as a homeless pup in Kyrgyzstan and brought her home to the US. Lucky Dog! 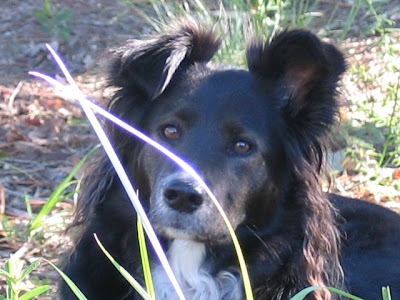 This is Ace, who's family sent his picture in January of 2008. Ace is now enjoying his retirement after an amazing agility career! Way to go Ace! ...and of course there's my buddy, Cosmo. When she lived here we used to hang out some :) This picture was taken in October of 2006. 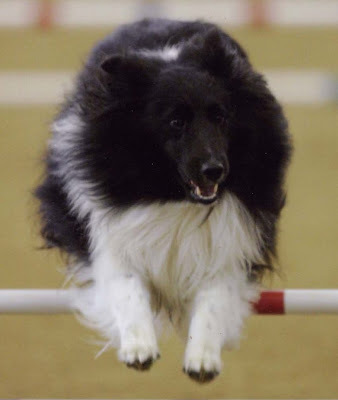 Now Cossie is enjoying an agility career just like me. Furry khool pikhs to see! I know a lookalike of you too. My friend Sally, I'll send you her pic some time.